Today we would like to focus your attention on the aging process. There are many ingrained beliefs related to the aging process and we would like to help shed some light on the subject at hand. There are many on your world who believe that to age is inevitable; that it is a guaranteed certainty. However we would like to inform you that this is actually not the case. MORGANTOWN, W.Va. — A group devoted to creating alternative energy jobs in Central Appalachia is building a first for West Virginia’s southern coalfields region this week – a set of rooftop solar panels, assembled by unemployed and underemployed coal miners and contractors. The Gemini Lunar Eclipse on November 28 reveals the power of Love. This is our last eclipse in 2012 and the final Gemini eclipse until June 2020. We have a loud noisy party going on. The planets, asteroids and stars are engaged in multiple conversations. There is a massive amount of information being shared. However, it is wise to use our discernment in what is relevant, useful and what can be ignored. Many people are feeling that we have just survived a severely intense Scorpio cycle. We are rising out of the dark and into the dawn of the new day. Freedom loving, optimistic and expansive Sagittarius is revealing glimpses of our bright future on the horizon. What is your PHLashLight? It is a flash of light made of pure love you send from your heart. As soon as you send this love out from your heart you will feel a warm rush of pure joy and love coming back to you. The feeling is of Pure Ecstasy! If you feel led to, share this video far and wide…. for those that feel they don’t know what possible difference that one average person can make in the scope of the whole world, this simple intention done at least once daily will begin to help raise the vibration which will help to CHANGE the WORLD! Please visit us at http://bethechange777.wordpress.com or http://phlashlight.org/ as we will be adding more in the coming days. 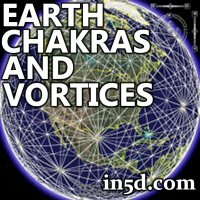 Ancient civilizations revered their host as a sacred entity: they believed her to be their “Great Mother” and often built their megalithic sacred monuments in areas they considered “Earth’s Highest Energy Vortexes” or “Earth Chakras”. Structures like Stonehenge, the Pyramids of Egypt and Mayan, Aztec, and Incan monuments along with many temples, churches and pilgrimage sites are now considered powerful energetic spots. Ancient civilizations and modern esoteric traditions believe that the body of our physical blue planet materialized from a universal energy matrix and has a subtle structure, similar to the human energy field. 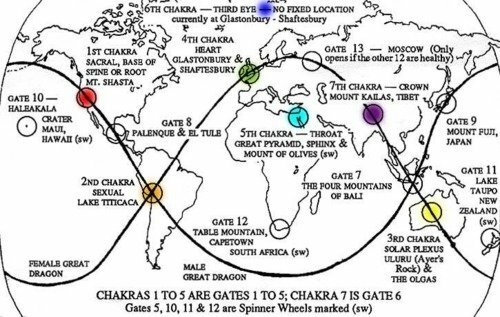 This energetic structure peaks in seven major “Chakra Sites” located on each continent, where the strongest Energy Vortexes are situated. Hundreds of minor earth chakras are also spread all over the planet. They are believed to be spherical in shape, expanding in all three dimensional directions in a spiral motion, with a radius extending for hundreds of kilometers. They may either spin clockwise or anti-clockwise. 1. Spread the word! SHARE this on Facebook, Twitter and Pinterest. Calling all women who care! This is the TreeSister call to passion; a call for balance, for increased feminine leadership in this world of ours, for billions of new trees and an invitation to us all to do what is needed to protect life on Earth. Spread this far and wide!! We need to get the word out to build a sisterhood that has the power to effect the scale of change that is needed now. Video created by the Bristol TreeSisters.